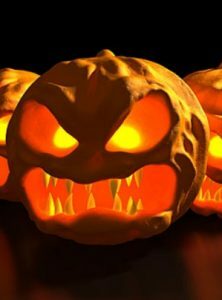 I thought we’d get into the Halloween spirit today and talk about some of our favourite Gothic works and scary stories. If your looking for something suitably supernatural for this spooky time of year, then why not try some of these recommendations from the team at 4th Estate? I was first read Saki stories by a teacher during those exciting, maddening end-of-term days; and they were better than any video would have been. Short, sharp and magnificently nasty, they suited a schoolboy’s temperament perfectly, especially, of course, the story Sredni Vashtar, well worth five minutes of your time right now (http://www.cs.cmu.edu/~rgs/sk-vashtar.html). 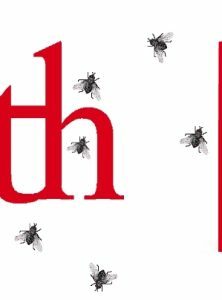 4th Estate have long been committed to discovering and nurturing new talent and introducing readers to new writers from Britain and around the world. It has always been a challenge for new writers to break into the market and to find readers and champions for their books, and this is true now more than ever. At 4th Estate, we want to make sure that booksellers, journalists and readers continue to discover the great fiction we are committed to publishing. Throughout spring 2012 we are publishing a number of debut authors, up and coming authors and well established 4th Estate writers who we have asked to introduce these new stars. 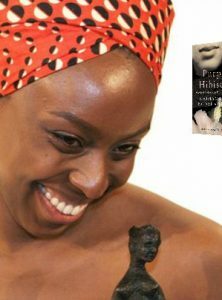 Listen to the BBC interview with Chimamanda Ngozi Adichie. Chimamanda was recently in London for a Book Slam event where the BBC’s Sharon Hemans caught up with her. The Marriage Plot is Amazon’s Deal of the Week! We released ‘The Marriage Plot’ a little early due to popular demand, but today is the ‘official’ publication day. ‘The Marriage Plot’ is also amazon.co.uk’s deal of the week, so you can snap up this literary page turner for an amazing £9! That’s change from a tenner for one of the best books of the year – well, we think so anyway. 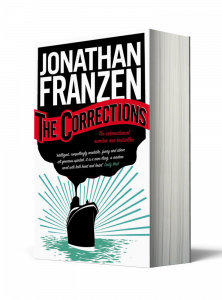 Jonathan Franzen this week confirmed that he is working with HBO on an adaptation of his internationally best-selling novel, ‘The Corrections’. In an interview with New Yorker editor David Remnick, Franzen confirmed that he has ‘been working with Scott Rudin and Noah Baumbach‘. Giorgio Locatelli’s ‘Made in Sicily’ was launched in spectacular style last night at Giorgio’s restaurant Locanda Locatelli with Kate Winslet, Gwen Stefani, Nigella Lawson and Antonio Carluccio all out to celebrate with us. As you’d expect at the launch of Sicilian cookbook at a a Michelin starred restaurant, the food was incredible. Have a look through the snazzy carousel below to check out some great prices on 4th Estate ebooks! These ebooks are available at the following prices from all e-book retailers. You can buy them for your kindle by clicking on the images below. We ate seafood arancini (rice balls), spaghetti with cuttlefish ink, calamari fritti; and for dessert cannoli with orange marmalade and pistachio ice cream and palline di bucce d’arancia (orange zest balls, but it just sounds better in Italian! ).